Don’t forget to lock windows as well as doors. Downstairs windows should all have window locks that should be locked each time you leave the house. Keep the keys in a safe and well-remembered place in case you ever need to exit the house in an emergency. If you don’t already have an alarm system fitted, you might want to consider having one installed. An alarm can bring down the cost of your home insurance too. Consider a home security automated system that allows you to keep tabs on your property even when you’re not in. 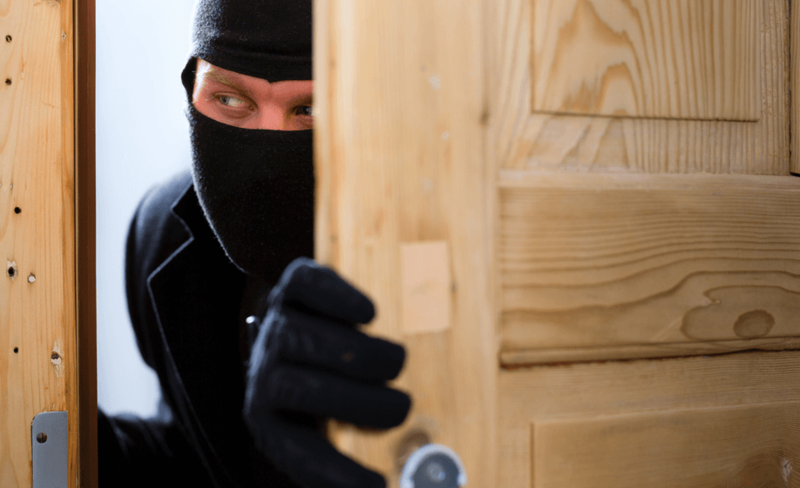 From being able to check that doors are locked to cameras on doors and automated lighting, there are many devices these days to make your home farther more difficult for thieves to target. If you’re looking for a Smart Home Automation Company, then Digital Interiors are one of the best smart home automation companies in the area. Keep all tools, step ladders and other ladders locked away in the garden shed or garage, as they can prove useful to thieves for gaining access to your property. Keep all such equipment safely out of reach, so you’re not making it easy for burglars to break into your home. Think about marking your valuable items with invisible markers. In the worst-case scenario of a burglary, your items could easily be identified by Police using Smart Water, which they’ve started doing in many regions. If you’re going on holiday, why not ask a neighbour to park on your drive and make sure the letterbox doesn’t get filled up with post and leaflets. An empty driveway and overflowing letterbox are key signals that a property is unoccupied. If you have no neighbour to call on, sign up to the Royal Mail’s Keepsafe service. They will hold all post for up to 66 days if you’re not going to be at home. Don’t advertise your absence on social media platforms. If you want to post snaps of you and your family smiling at the airport, then make sure your privacy settings are the tightest they can be so only close friends and family can see your updates. Don’t leave the curtains closed for the duration of your time away. It’s a classic and obvious sign that drawn curtains during the day mean nobody’s home. Is a Luxury Private Rehab for You?